Fashion Month is half complete right now. As much as we are checking the fashion week shows to dish on the upcoming trends, we are also loving people-watching those who attend the shows. 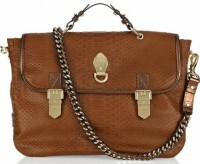 One of the must have bags of the moment is the Mulberry Tillie.